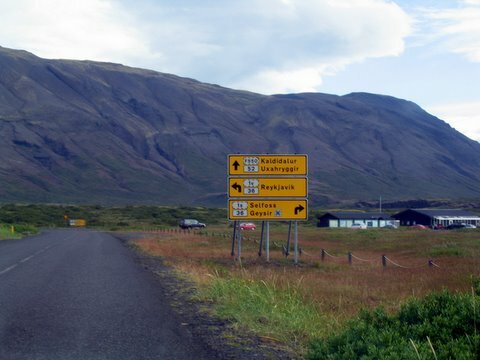 Thingvellir is not far from Reykjavík, a mere 50 km if you choose to drive through Mosfellsbær, and the road is quite pleasant, compared to some around the Icelandic countryside. The site is remarkable for historical, geological, religious and purely esthetical reasons. 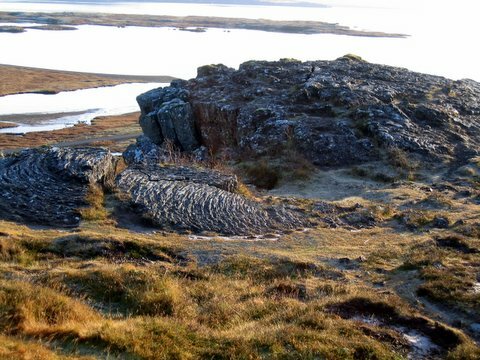 In Iceland history starts at Thingvellir, this is where the settlers founded what is reputed to be the worlds oldest parliament. This is where the chieftains met once a year to settle disputes and revise the legislation. 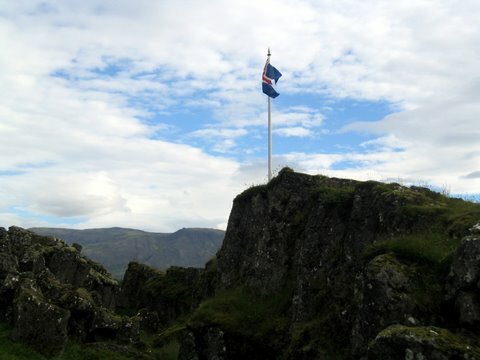 The first assembly was held in 930, and a common law was adopted for the whole country, derived from Norwegian law. This is where the legislative court was held, and this is where the law-speaker recited the law - it was not written at the time, the law-speaker knew it by heart. In the year 1000, the assembly decided that Icelanders would adopt the White Christ as their god, rather than the traditional Northern gods, Óðinn, Þór and their colleagues. 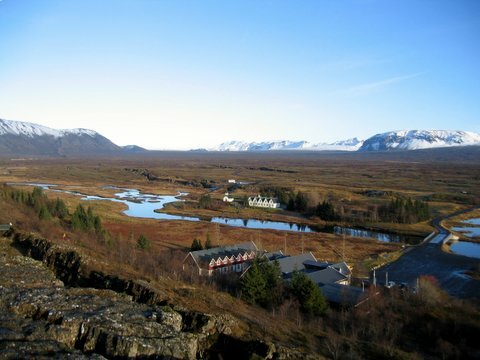 At the time, Thingvellir was chosen for the assembly because it was as central as possible. The Northern chieftains were not too far off, and neither were those coming from southern or western parts of the island. Furthermore, the conditions were ideal  the canyon afforded suitable shelter for the chieftains tents and the merchants shops. The whole area was teeming with activity during the assembly days. This was indeed a golden age. Geologically, you are in a kind of wonderland. The continental rifts are visibly drifting apart right here. 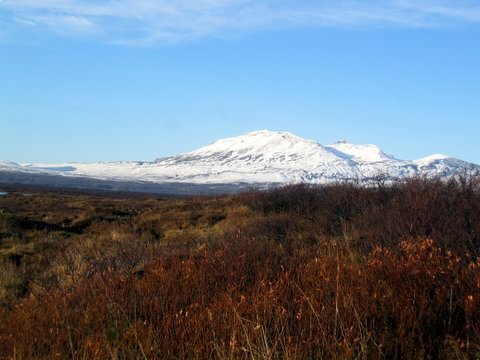 The lava is extremely picturesque, the vegetation grows lush in mossy hollows, the lake is beautiful and full of tasty brook-trout, but bathing is not recommended, as the water is ice-cold. 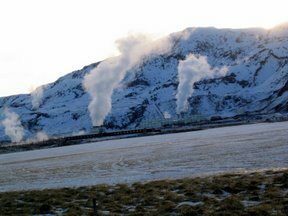 On its opposite shore, you catch a glimpse of the white steam fumes from geothermal power plant Nesjavellir. The whole thing is surrounded by majestic mountains of various colours and shapes. No wonder this is a national park. 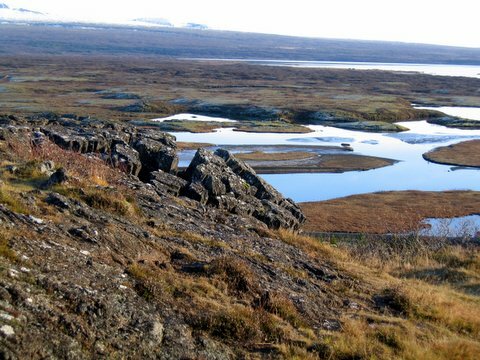 When you arrive to Thingvellir for the first time, it is a good idea to visit the tourist information centre for starters. It is unusually thorough and well documented, and thus you will be able to pick and choose according to your fancy. There are excellent camping facilities nearby. It is always pleasant to take a stroll through Almannagjá, over the bridge at Drekkingahylur where adulterous women were executed by drowning. The river flows in a graceful cascade over the edge of the canyon, and then meanders through stunningly beautiful rifts in the lava. This will probably do for a first visit. 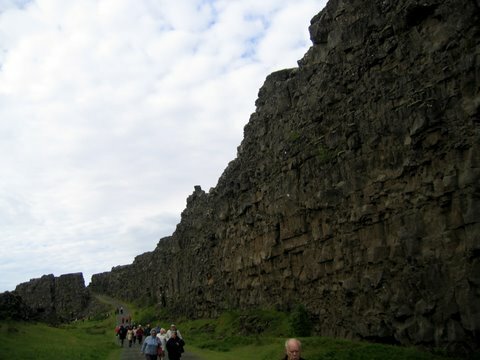 The national park is quite large and there is many a hike to be made among the beautiful lava formations.